Arnolds Marine Service - Boat Storage near Lake Raystown, PA! 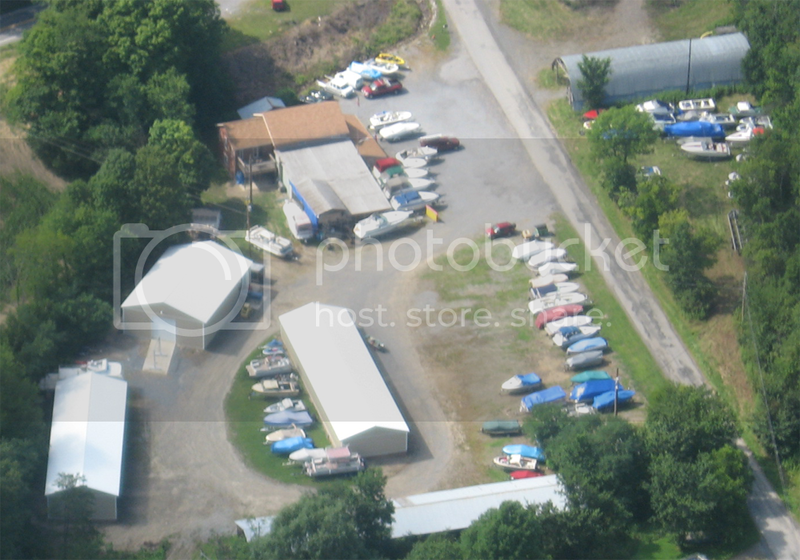 Arnolds Marine Service offers covered and open storage for boats at our James Creek, PA location. We specialize in professional winterization and storage preparation, including shrink wrapping. We also offer "stem to stern" checks for boats and coming out of storage. This helps avoid unpleasant surprises and unexpected costs after your investment has spent an extended period in storage. Our facility is convenient to all of the Raystown Lake camping and resort areas, including 7-Points, Aitch, Lake Raystown Marina, Lake Raystown Resort, and Shy Beaver. The Arnold's Marine Service storage lot is safe and secure. For regular visitors and campers to Lake Raystown, storing your boat or RV at Arnold's during the vacation months saves the time and hassle of hauling your boat long distances, and is a fraction of the cost of a permanent dock or camp site. For storage, summerization, winterization, pre-season checks, and additional services contact us at arnolds_marine@comcast.net. Your boat represents a substantial investment. Harsh weather, sunlight, and wind take a toll on your investment. With our covered storage option, your boat is under protection from rain, hail, snow, and direct UV radiation, but still easily accessible for use. Arnold’s Marine Service has limited covered storage available for our clients on a first-come, first-serve basis. Safe and secure, with round-the-clock surveillance. New buildings with increased capacity, with storage for larger boats! Arnold's Marine Service Outdoor Storage is a safe, cost effective way to store your boat close to camping and boating that makes the Lake Raystown area so attractive as a vacation destination. Combined with our winterization and wrapping service, your investment is secure in our spacious lot. Room for 85+ boats on our lot. Safe and secure, with round-the-clock video surveillance. When storing your boat for any extended period, taking the time to have it professionally winterized and wrapped can save you time, money, and headaches when vacation time rolls around again. Whether you are storing your boat with us or somewhere else, consider having us provide you with peace of mind with our winterization and wrapping services. AMS offers cost-effective winterization and shrink wrapping services. End of season service can save big dollars and "down time" during the peak season. Wrapping service done at our lot. Call us to find out about removing your boat from the water, servicing and winterizing your boat at the end of the season (size limitations apply). There are few feelings worse than having your boat break down on your first outing of the season. Most boating and camping enthusiasts have experienced the frustration of a getaway weekend ruined by equipment failure. At Arnold's Marine Service, we are boaters too, and realize that your leisure time is precious. Let us help ensure that your boat is ready BEFORE you go out. We specialize in "stem-to-stern" operation and system checks to identify potential problems and allow you to save money in emergency towing and repairs.